LJM’s informative monthly newsletter is deployed to 20,000+ prospects and current customers. They use the platform to share insider knowledge on shipping-spend recovery for retailers and other high-volume small-parcel shippers. 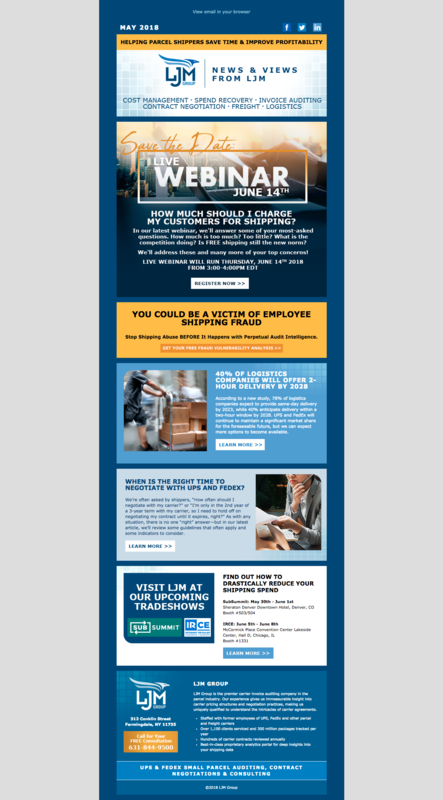 LJM’s expert strategists regularly contribute actionable resources and tactics to shippers with live webinars, original articles, industry news and carrier pricing analyses.